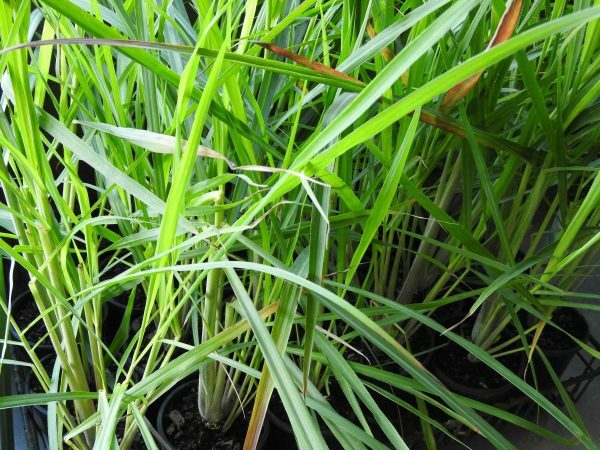 Note; True Lemongrass plant, Cymbopogon citratus, is available in two selections being red stemmed and green stemmed. The green stemmed type is the one preferred for culinary purposes, while the red stemmed variety is generally used for processing and product manufacture. A delightfully, lemon scented grass native to the West Indies. True lemongrass plant, Cymbopogon citratus, is also known as West Indian Lemongrass. Crushed or sliced stems of Lemon Grass are an essential ingredient in Thai and Vietnamese dishes. A refreshing tea is made from the leaves and is enjoyed hot or cold. Rich in Vitamins A and C. The stalk and leaf are used as a remedy for colds, bronchial coughs, anxiety and minor skin condition. An infusion is used as a rinse to condition hair. A companion plant. Used in pot pourri. Lemongrass plant is a native of the West Indies and prefers rich, moist soils in a sheltered, sunny position. Drought and frost tender. A clumping perennial, growing to 1.5m. Be the first to review “Lemongrass, GREEN plant” Click here to cancel reply.